Royal Castle in Warsaw. Old city. Castle Square. Night, lights. Poland. Shot in 4K (ultra-high definition (UHD)). 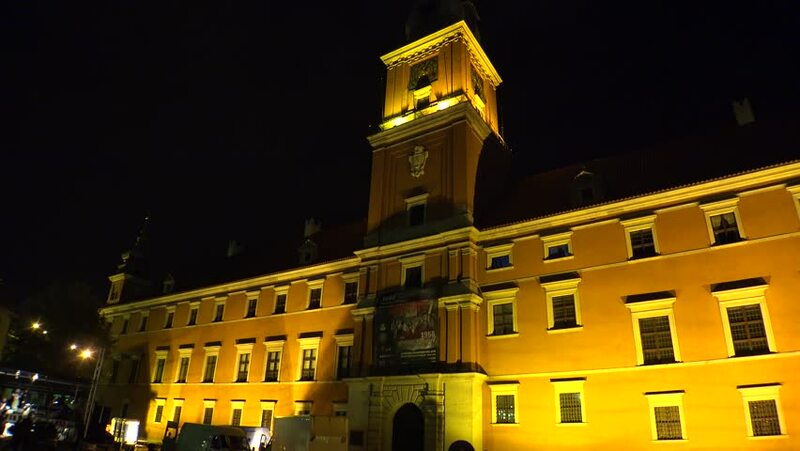 hd00:15Royal Palace on Old Town Warsaw, Poland. Night scene. hd00:28PETROZAVODSK, RUSSIA - DECEMBER 15, 2013: Evening view on Russian Dramatic Theater and cars passing by.